The horticulture industry is facing numerous challenges. These include, for example, the most efficient space utilization, the workload reduction, being able to meet all kinds of legal requirements and react swiftly to changing market circumstances. Having fully integrated software solutions for obtaining control and insight in various business processes, is getting more and more critical. IS Agriware provides instant access to valuable information which is necessary for directing the organization towards optimization and growth. IS Agriware® – Microsoft Dynamics NAV-based add-on solution that supports the management of company’s operating activity. ISAL – software developed based on Microsoft.Net technology that helps to visualize and monitor processes performed by mechanical systems as well as to facilitate the exchange of data between these systems. It is possible to implement both solutions provided by Indigo Solutions. However, if the nursery already uses the Manufacturing Execution System (MES), it is possible to implement only an ERP system that is compatible with MES system. Conversely, if the company is already working on the ERP system, only the MES system that is compatible with this ERP system can be implemented. If the ERP system is not required, the implementation project can be initiated with the MES system. However, with such a sequence, the scope of ERP features that would be installed in the later project stages is limited. IS Agriware- an add-on module has been designed by Indigo Solutions BV team based on Microsoft Dynamics NAV. It includes the complete functionality that enables comprehensive management of administrative and financial operations, as well as industry-specific processes. ISAL is based on Microsoft.Net technology. The solution supports the logistic processes, their visualization and monitoring. It also facilitates the exchange of data between mechanical systems that support processes carried out in a nursery. Mechanical systems not only perform standard daily tasks, they are a useful and valuable source of information. Customers’ expectations regarding ERP systems are constantly growing. They expect them not only to be easy to use and perform standard tasks, but also to provide valuable information that is stored in databases for statistical purposes. The solution handles make-to-stock items and can be tailored to customer requirements. With its ability to integrate into mechanical systems, IS Agriware generates added value to your business. IS Agriware fully supports purchase processes within your company. 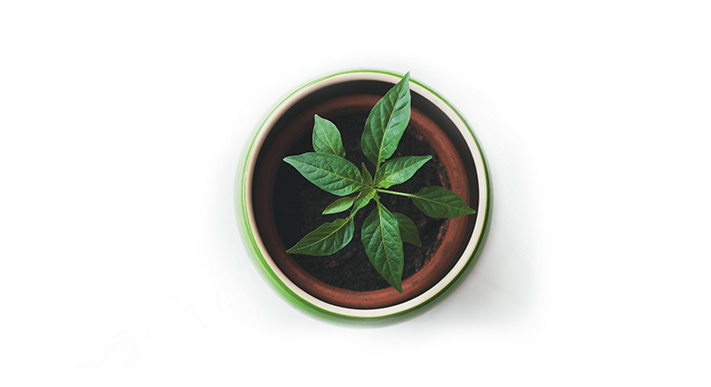 You will gain insight in the purchase planning of your seeds and propagation material. Purchase proposals are automatically generated and are converted into purchase orders. Extra purchase orders or order changes are suggested if necessary. Furthermore, you can register actual deliveries and compare them to the original purchase order. The purchased goods are handled with the inventory management features. A graphical overview of the greenhouse is available for the capacity / location planning, both for the long and the short term. The planner can also produce insight in the medium term (one week) in order to make timely adjustments whenever necessary. Dynamics Capacity Planning is one of the applications developed by Indigo. In capacity planning, various factors, such as growth, genus and plant-care procedures are taken into account. 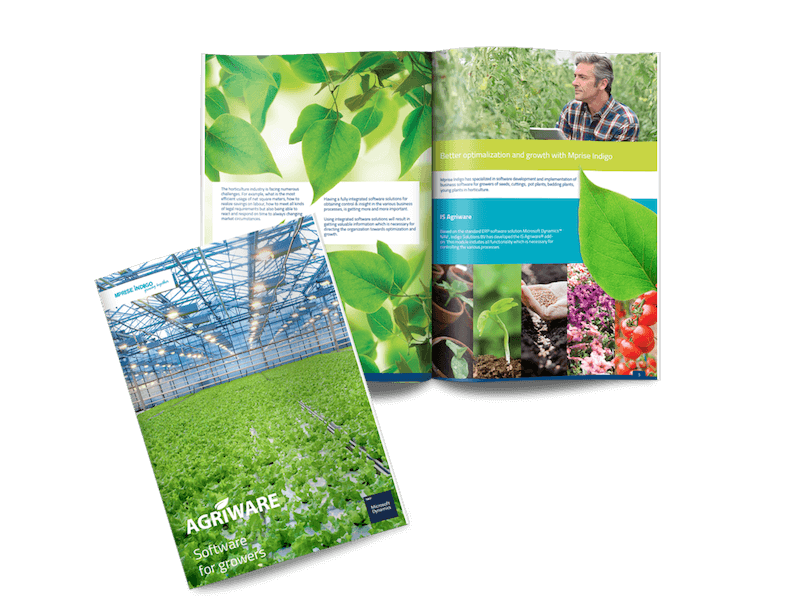 IS Agriware provides you insight in locations and sections as well as current greenhouse inventory at any given time. You can use a PC or a mobile device to register the plants and work orders in your greenhouse. Production history – stored in the central database allows you to take decisions for the future based on clear growth statistics. The system optimizes the delivery planning, starting from bulky orders (delivered by several trucks) to single boxes, cartons or trays. IS Agriware allows you to streamline all your sales activities in one system. After the production is completed, the system generates cargo loading proposals, packing notes, delivery notes and, if necessary, transport documents for abroad. It is also possible to enter prepayments which are included on the final invoice. In order to create stock, the lot status must be marked as “completed”. Lots that are registered as inventory can be prepared for shipment. The Transport planning feature is available for delivery and route scheduling. You can add flexible routes based on cart classifications. It is also possible to divide one order over multiple routes and still maintain the overview. IS Agriware supports the auction handling by using Floercom protocols. Auction letters, EAB’s and Order messages are processed in compliance with these protocols. Invoices are issued for completed deliveries. The invoicing process is fully integrated in the financial administration and auction functionality. IS Agriware supports the complete financial process, from budget to processing bank statements. 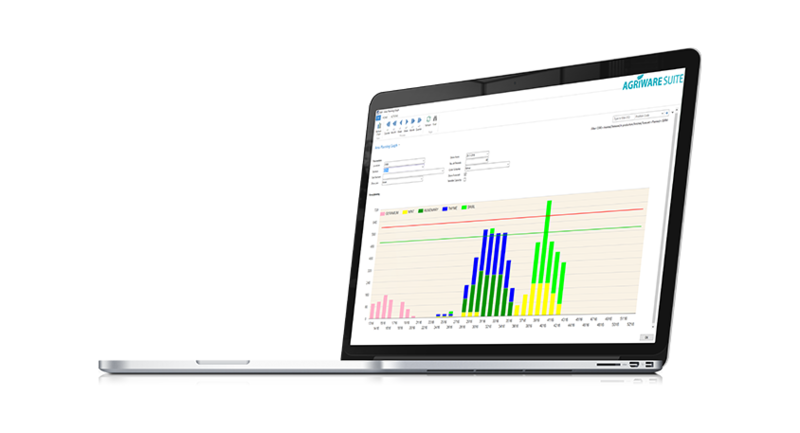 The system provides your company’s performance information and allows you to make timely adjustments whenever necessary. You can produce excellent reports and views with the reporting Jet Reports tool.